In the aftermath of the Charlie Hebdo attacks in Paris, the churches in the predominantly Muslim West African nation of Niger experienced the worst attacks in their history. On the weekend of 16-17 January, hundreds of angry Islamists attacked and ransacked dozens of properties and churches, shouting “Allahu Akbar” (“Allah is the greatest”). Ten people lost their lives during that weekend; more than 70 churches were destroyed, as well as numerous Christian schools and organisations, including two orphanages. 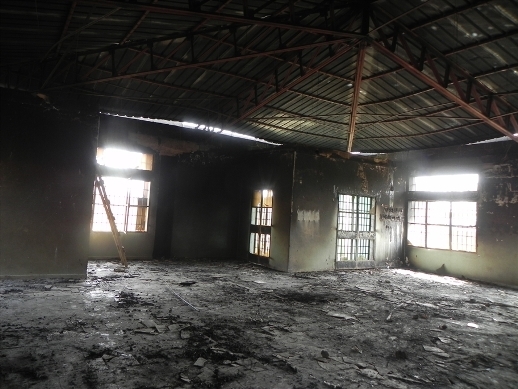 At least 30 Christian homes were also looted and burnt down. Six months on, the reconstruction work is moving slowly and proving very expensive. Most damaged churches and properties are still not rebuilt, and the financial support promised by the state is not forthcoming. In the heart of the capital, Niamey, the Baptist “Roundabout” church (founded in 1929) has long symbolised the presence of Protestant Christians in Niger. Over the years, it has hosted generations of all geographic and social origins: students, diplomats and businessmen – both expatriates and Nigeriens. Now its collapsed roof, along with its façade and walls blackened by flames, present a scene of desolation. Puddles on the floor highlight the urgency of repair, particularly as the rainy season begins. On 17 January, this church was among the first targeted by demonstrators. The motive was said to be anger at the presence of Niger President Mahamadou Issoufou and five other African heads of state in Paris on 11 January, in what was perceived to be support for an anti-religious magazine. The “memorial” issue of Charlie Hebdo, showing the Prophet Mohammad weeping, reinforced this anger and triggered the protests, which quickly turned into anti-Christian violence. The protests, which began in Zinder, Niger’s second city, on January 16 quickly spread to other parts of the country, including Niamey, the following day. His church is still waiting for the financial support promised by the government, so Sunday services and other weekly meetings are held in a tent in the church courtyard. There is a sense of abandonment among victims of such violence. “We feel that, as the emotion of the first days has now passed, our case is no longer of interest to our political leaders,” exclaimed pastor Kagnindé. At Salama church, in the capital’s northern district of Bani Fandou 2, the situation is similar. On January 17, a horde of angry protesters ransacked the church, looting and setting on fire several houses, including the pastor’s. A sewing workshop was turned into pieces and its contents, notably 15 sewing machines, were stolen. Everything is still in need of reconstruction, the pastor, Rev. Zakaria Jadi, told World Watch Monitor. The violence also revealed the inability of the security forces to ensure the protection of Christians and their properties. In Niamey, looters roamed across the city on motorbikes, in cars or taxis, without facing any resistance from security forces. Various sources told World Watch Monitor that there were no forces around the capital’s main churches – except the Catholic Cathedral, where a heavy police presence meant it was one of the few to escape attack. In Zinder, some pointed to a lack of action by local security forces, after messages calling for a demonstration after Friday prayers circulated widely (principally via phone texts) on Thursday, Jan 15. 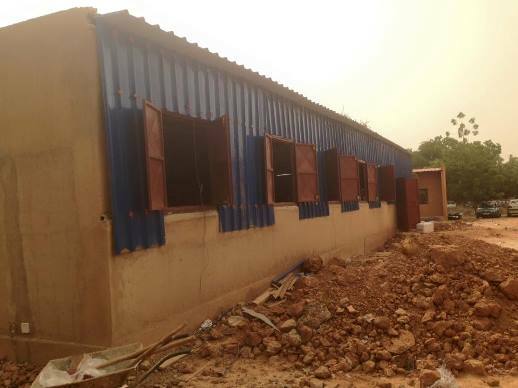 In both Niamey and Zinder, the violence appears to have been well planned and executed. “How can one make sense of the fact that, in under two hours, more than 40 churches were destroyed across the capital?” asked a spokesman for Caritas, the Catholic aid agency, on French radio. The absence of firefighters shocked many; fire and smoke were seen in some churches days after the incidents. Apart from the material needs, estimated at hundreds of thousands of US dollars, the victims of the violence are in great need of psychological support. According to a survey by the US NGO, Samaritan’s Purse, based on a sample of 40 respondents, 32 people are suffering from severe trauma, and eight moderate trauma. For Rev. Jadi, who lost both his house and his church, it was not easy to overcome the pain. On the day of the attack, he just had time to get his family into a safe place. “When I returned to assess the scale of the damage, I started to step across our remaining personal belongings along the way, such as books, kitchen utensils and clothes. But now, Jadi has forgiven and wants to move forward. “It was truly hurting, but I was well supported by brothers and sisters who have encouraged me a lot. And I received my greatest encouragement from God, he has really strengthened me in order to overcome that ordeal. And he also allowed me to support those who were in tears. For Ruth, his wife, the healing process has been slower, he said. Rev. 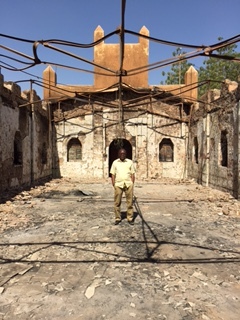 Samaila Labo, pastor of the Evangelical Church of the Niger Republic in the northern Niamey district of Boukoki 2, also lost his house and his church. The church had hoped to get a new roof, Rev. Labo told World Watch Monitor, but such was the extent of the damage, the whole church needed to be completely rebuilt. The provisional chapel was inaugurated on Sunday, 12 July, to his great satisfaction.